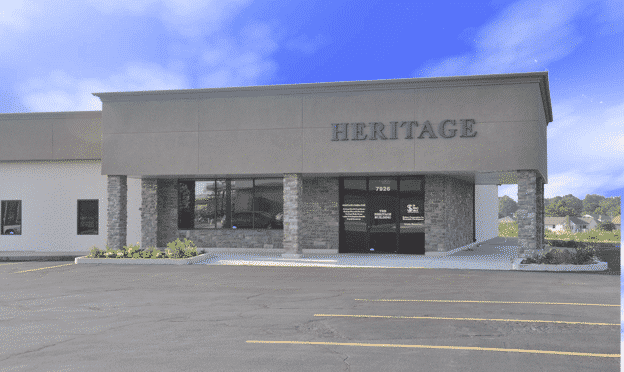 The Heritage Building is located at 7926 E. 171st Street in Belton, Missouri. Our full services office suites are fully equipped with the latest technology. Each office has instant, high-speed internet access and a digital phone set up for voicemail. Our office suites include receptionists ready to answer your incoming calls and greet your clients as they arrive. You can literally be set up and ready for business in a few hours. A private mailbox, mailbox collection and forwarding. Calls to front desk are answered with your company name, routed to your office or even your mobile phone. Available by appointment on a first come first serve basis. Available upon request for an additional charge. Kitchen stocked with coffee, tea, hot chocolate and a filtered water cooler. Weekly trash removal, vacuuming, dusting in each office as as common areas. If you would like to have professional office space but simply don’t have the time to manage it, this may be the solution you’ve been looking for. Contact us at (816) 322-6350 for more information.